Rod is not ruling any of them out. Hes currently watching them from the tunnel. Svech is the one that still has to clear for contact. I personally think its a positive that Marty and Ferland are out there skating. Rod did say Martinook wants to play and it was just his body he wasnt sure. But the fact hes out there is a good sign. Staying positive. Getting 1 or 2 back could be a huge positive and boost to the team. All 3 are out skating this am. doesnt mean he doesnt go test it out. Svech was out there last Thurs when there wasnt a skate. Key in this series. Score first. Team that does wins. 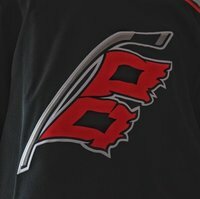 I expect the caniacs to bring the energy and fire up the boys tonight. I am no going to be negative after the bad loss on Saturday. Move on from it and know the opportunity is there to tie the series and get a game 7. Strange then why send Saarella down? Hes playing tonight too? Hes not going to play 3 in a row if he was sent to Charlotee. Maybe the plan is dress 7 Dmen if none of them can go? At least Rod has the benefit on home ice last change. might as well pack up now and go home then. your negativity is awful. 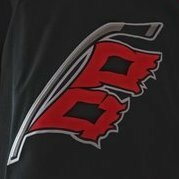 Staal not winning any faceoffs. Time to use our speed through the neutral and hem their slow D in their end. i think some of the chip and chase was from too much zone time in our end.